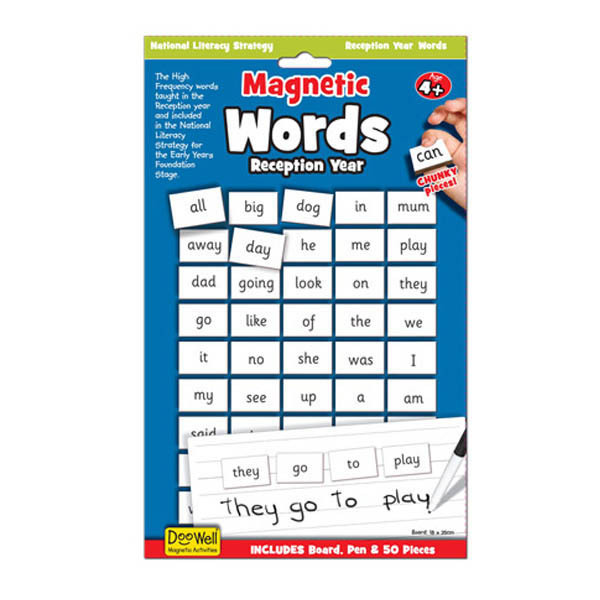 A fun, interactive,magnetic, reusable pack for children who are just starting out in the wonderfully world of reading and writing. 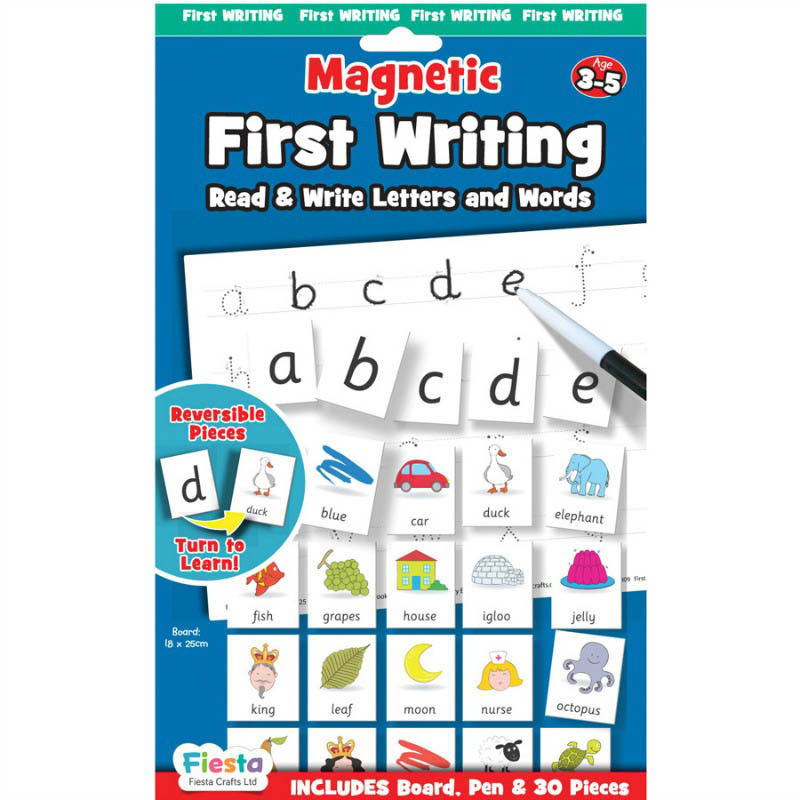 The Magnetic First Words brings learning alive with pictures and words, helping children master basic literacy quickly. 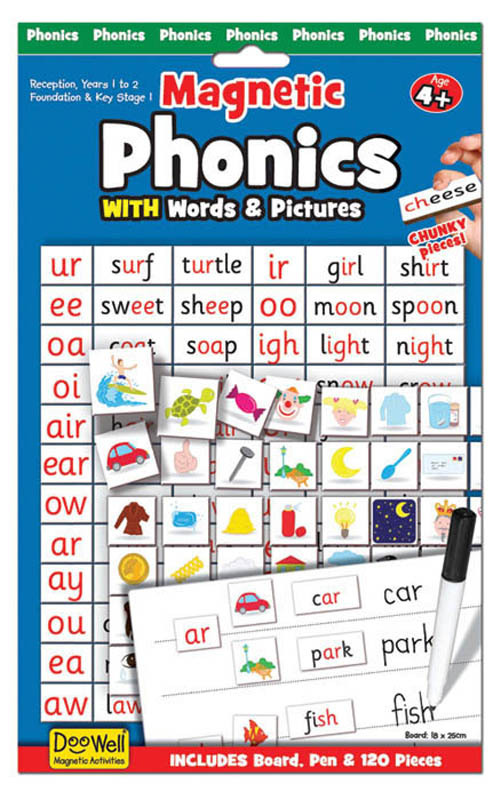 The set includes a dry-wipe pen, double-sided magnetic board for letter practice and 30 double-sided letter/word and picture magnetic pieces and 4 blank to write your own.. 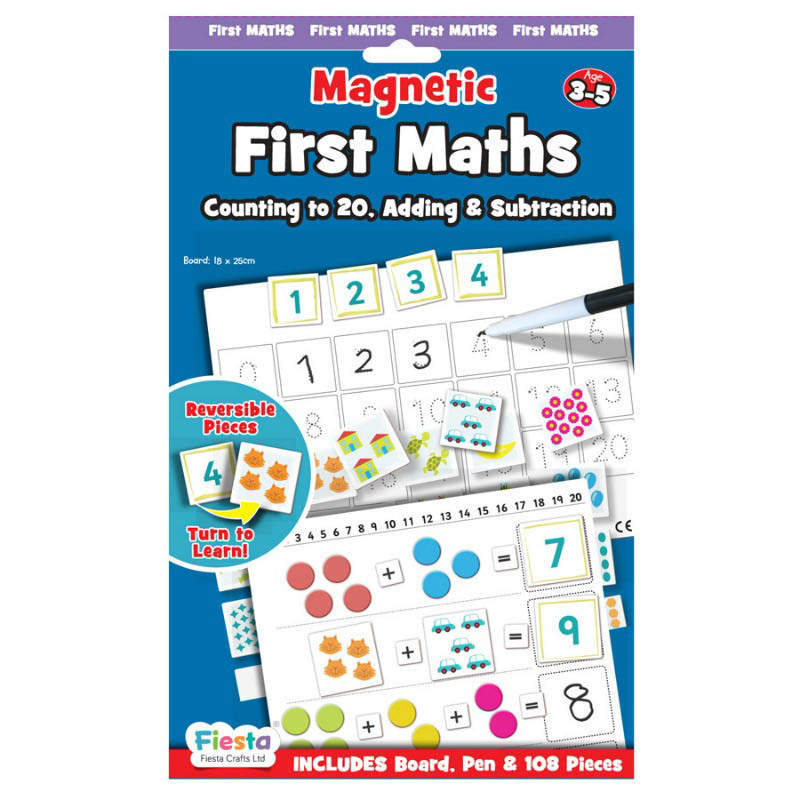 There are also ten tasks that adults can set the child to aid development according to how quickly children are progressing.